A lot of cats have chosen Yanaka Ginza as their home long time ago, so this area surely has some tourist attractions for cat lovers. 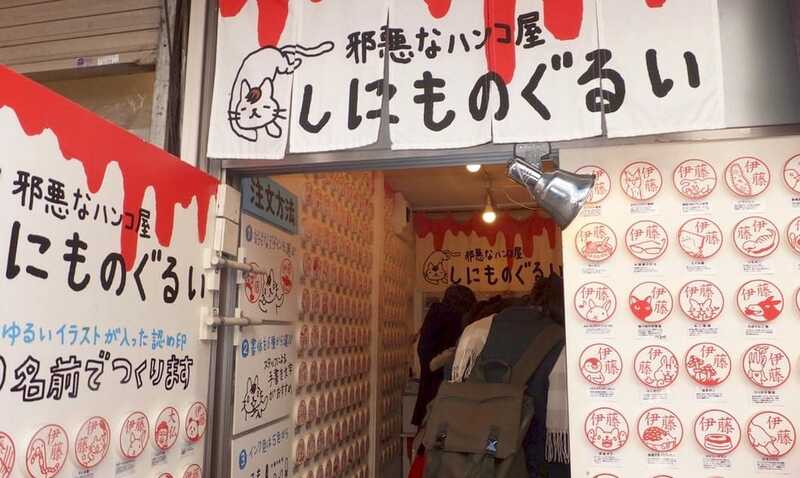 At spots such as Nekoemon Café or Yanakado, you can enjoy food and goods relating to cats. These spots are much fun for cat lovers and those who want to be healed by cats. This article will introduce 6 must-visit places for cat lovers. At Manekiya, visitors of Yanaka Ginza can eat pancakes relating to cats. This shop has been opened since 2012 but it has popularity can be compared to any old shops. 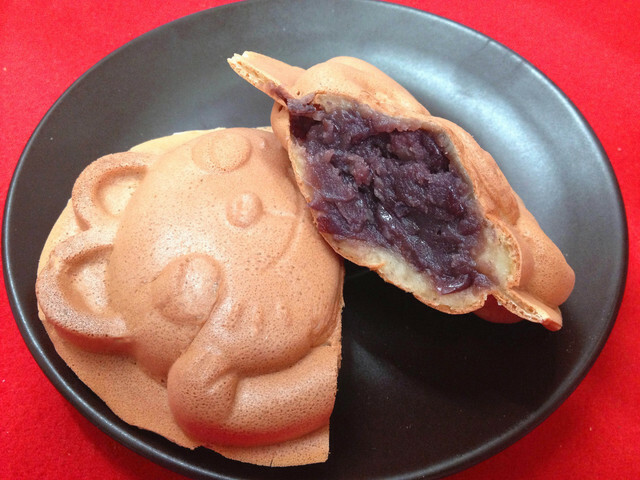 Normally Taiyaki (Fish-shaped pancake filled with bean jam) takes the shape of a fish, but this shop has gained popularity thanks to its Fortune Cat shaped pancakes. The ingredients are strictly selected from adzuki beans among the 10 popular products of Hokkaido to bring easy-to-eat mellowness. The mascot of Manekiya was designed by the manga artist of the popular Tsuribaka Nisshi (a popular manga about fishing). 2. 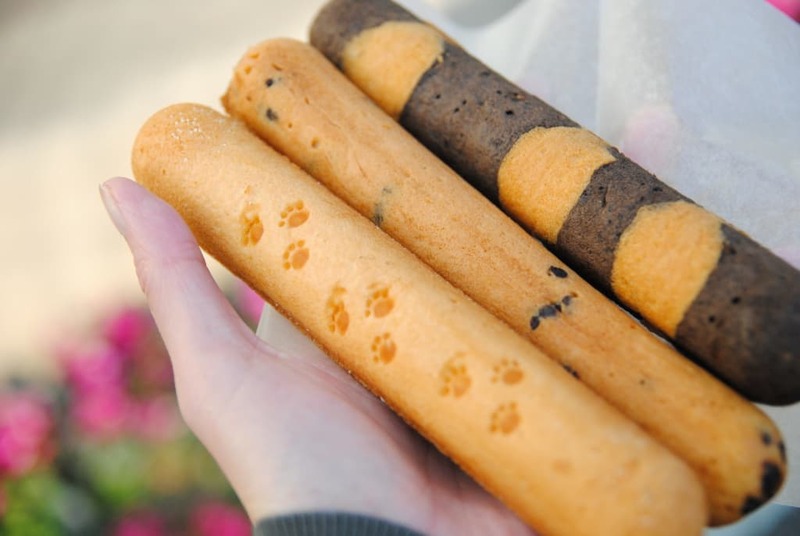 Yanakashippoya, where you can eat snacks shaped like cat tail! Yanakashippoya is a shop specialized in making fried donuts taking cat tail as motiff. The snacks have stick form so it’s best to take some with you while walking along the streets. There are also tiger patterns and cat paw designs which are very cute. Only good quality ingredients in different areas of Japan are selected, together with a complete making process will ensure good taste and safety when the snacks reach customers’ hands. The shop has a wide variety of snacks and customers have said they are all delicious. Among them is “Caramel”, filled with caramel cream, a must-buy snack for people having a sweet tooth. How about some cat paw chocolates as a souvenir from Yanaka Ginza? 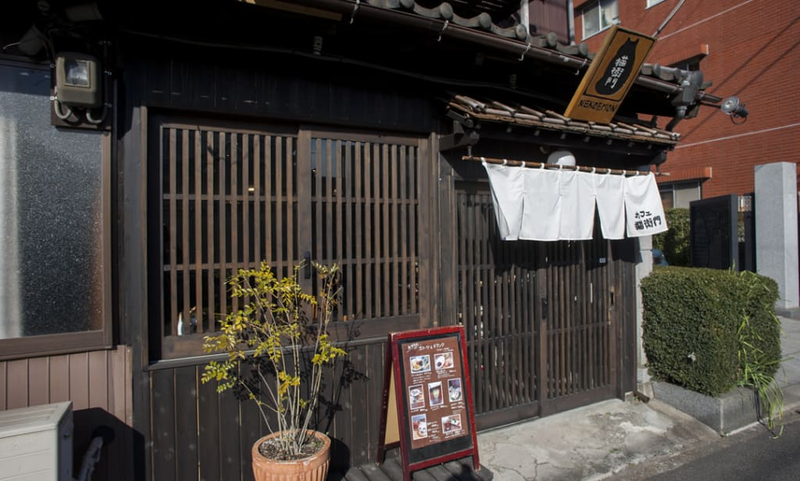 You can’t miss this small shop while strolling in Yanaka Ginza. It’s a stamp maker with a unique signboard looking like blood dripping in some cat illustrations drawn by some little kid. A stamp has a person’s name and can be used instead of signature. You can make your own original stamp just by adding your name and a favorite illustration. 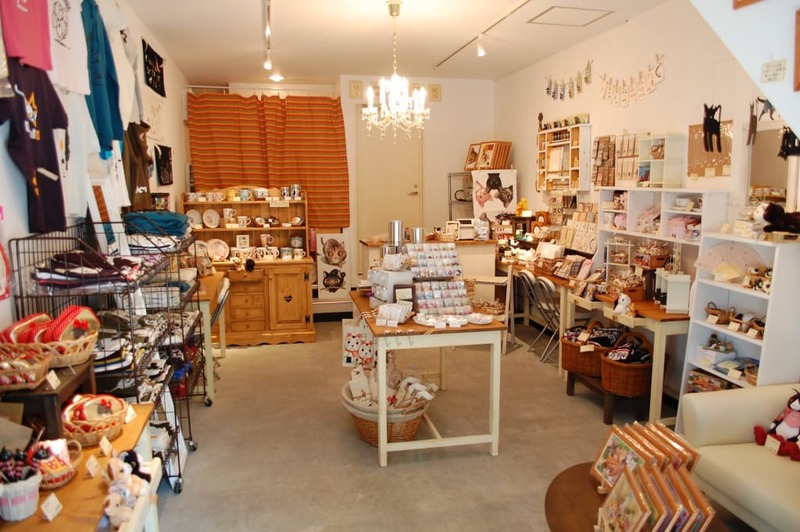 This shop is so popular that many passengers uses it as a guide when visiting Yanaka Ginza. Not only Kanji but it can also make stamps with Alphabets so how about making stamps as some souvenirs? Fortune cats occupy about 90% of the products in Yanakado. A fortune cat is a popular mascot bringing good luck to people. Here you can make your own fortune cat based on any favorite cats such as the cat you are raising at home. It can unbelievably resemble the real model. 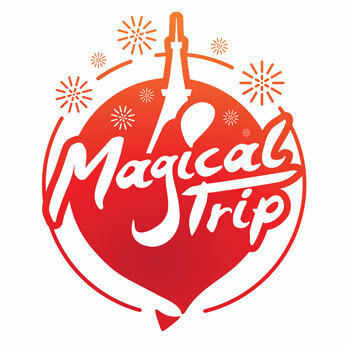 The price is 10,000 JPY which a bit high but this might be the only place to have such experience. Moreover, they also have Matryoshka cat dolls and examination pass cats, a must-have amulet for examinees. Therefore, not only cat lovers but also foreigners in need of Japanese souvenirs have fallen in love with this shop. 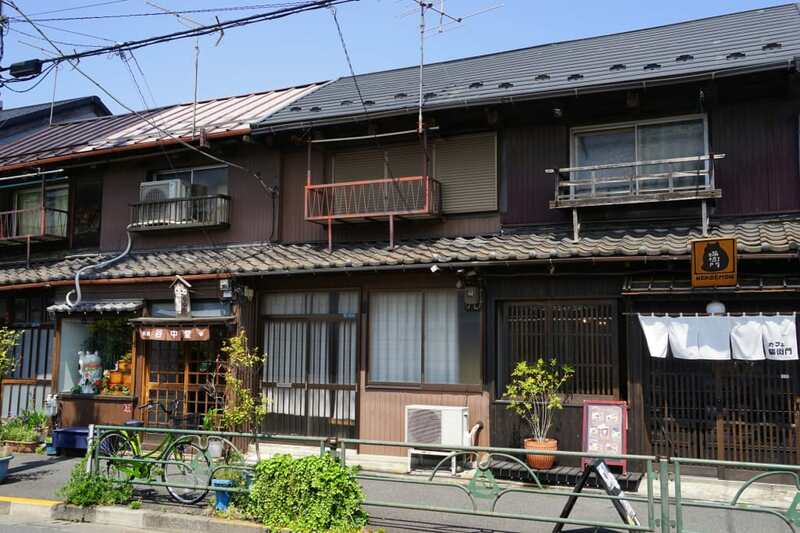 Nekoemon Café is a sister shop of Yanakado, rebuilt from a 90 year old old private house. What differentiates it from other shop is that you can paint a ceramic fortune cat while having snacks and drinking tea. Don’t worry if you have never done that before, or if you are not good at ceramics painting because the staffs will help you. Isn’t it cool to have your best memory and souvenir in Japan here? What’ s more, you can enjoy a distinctive menu such as cat Mont Blancs as sweets and beverages at the café. The shop has chicken spiced curry and omelette rice for lunch that you can eat until you are full so it’s worth a visit after a long tired walk. The shop opened in 2009 and has become a mother lode of cat sundries that attract lots of cat lovers since then. The variety of sundries ranges from illustrations, smartphone covers, accessories, handbags to unique stuffs like straps shaping like a cat scratching post. The original T-shirt has been so popular and if you are a cat lover, this is surely a place to have fun all day, a sanctuary for cat lovers. How about dropping by this “Neko action” for a few cat goods?